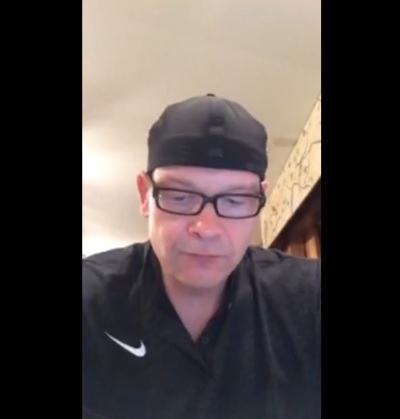 Perry Noble, pastor at Second Chance Church and formerly of NewSpring Church in South Carolina, has responded to the recent high-profile celebrity suicides by recalling how he too was close to taking his own life. He said that believers should not give "lectures about eternal damnation" in such situations. "There has been a lot on social today about suicide due to the fact that two high profile people chose to end their own lives this week. Reading about their choices absolutely broke my heart," Noble said in a Facebook post last week. While he did not mention them by name, much of America has been left shocked by the suicides earlier in June of top fashion designer Kate Spade, and later of popular chef and CNN personality Anthony Bourdain. "Those who have been critical have obviously never experienced darkness so deep that the uncertainty of death is more appealing that the apparent certainty of a life dominated by pain," Noble wrote. "As someone who was at this point once — I completely understand how someone can lose hope and see no way out!" Noble, who lost his job at NewSpring Church in 2016 following struggles with alcohol, admitted a year ago in July 2017 that one particular evening at a rehab in Arizona he planned and was ready to shoot himself. "I had the spot picked out, I had the gun picked out, and I was going to literally take my own life," the pastor candidly admitted in a Facebook video. The night he was getting ready to take his own life, he heard God speak to him, however. "It was the clearest I've ever heard His voice. He told me 'I'm not finished with you yet,'" the pastor recalled. In his latest Facebook post, Noble pleaded with those thinking about suicide to call a friend, a family member, or anyone who can offer help. "Why? Because i believe you are a gift to this world — I believe the world needs you — and I believe there is light at the end of the tunnel," he wrote. "And if someone reaches out to you to say they are considering suicide — please do not respond with lectures about eternal damnation!" he continued. "Listen to them, ask them to hang out — don't let them be alone...you would be surprised how much just having someone around will take someone's mind off of ending their own life!" Kay Warren, best-selling author who co-founded Saddleback Church in California, argued in 2015 that while suicide is a sin, there is nothing in the Bible that says Christians who take their own life will end up in Hell. Warren made the comments two years after her son, Matthew, fatally shot himself at the age of 27, following a long struggle with mental illness. "Is suicide a sin? Yes, suicide is a sin because it short-circuits the plan and the will that God has for us. But Jesus died for all of my sins including that one when He died on the cross," she said. "God's promised us that Matthew's salvation was safe and secure. Matthew gave his life to Jesus when he was a little boy. And so, I'm absolutely 100 percent confident based on the work of Jesus that Matthew is in Heaven," Warren told The Christian Post in an interview at the time. "And that's a certain hope." Ravi Zacharias, an Indian-born Canadian-American Christian apologist, said that the question of one's eternal destination after suicide is difficult to answer. Zacharias pointed to Genesis 9:6 in the Bible while discussing the topic in 2017, explaining that those who take their own, or someone else's life, are attacking God's image. "In Genesis 9:6, murder is called the ultimate attack upon the image of God. That's what murder is," he said. "So by violating the image of God in someone else, or I violate it in myself, it is the ultimate act of lack of faith, and without faith, it is impossible to please God." Still, Zacharias admitted that he wouldn't want to "stand as judge" to families who have lost loved ones to suicide.